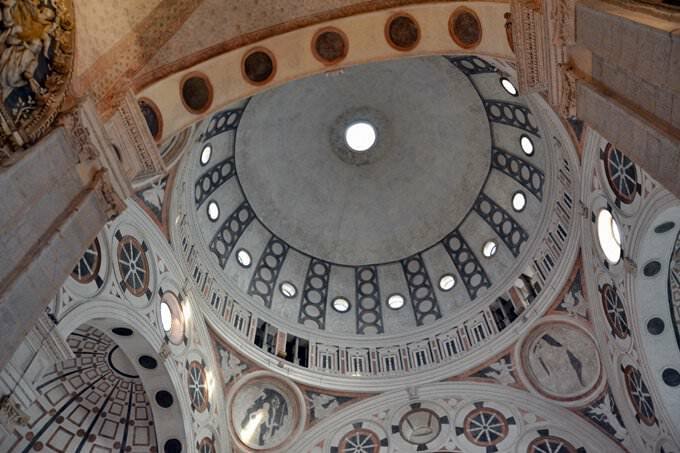 The beautiful Cathedral of Santa Maria delle Grazie is not only an important religious and architectural landmark. The church keeps numerous valuable icons, the most famous of which is the "Last Supper" of the great painter Leonardo da Vinci. It is also worth visiting Basilica of Sant 'Ambrogio, which also stores some unique relics. The interior of the basilica is decorated with amazing paintings. The most valuable artifact has been keeping in the basilica starting from 1230. This is a crystal vessel with the blood of Christ. It is impossible to imagine acquaintance with Milan without visiting or at least taking a quick glance at Duomo di Milano. This is a real landmark of the city and its most important artifact is a nail taken from the Holy Crucifixion. The masterpiece of Gothic architecture attracts thousands of tourists every year, not in the least due to the fact that Leonardo da Vinci, who lived and worked here for a while, contributed to the construction of the cathedral. It is worth climbing to the roof of the building, as the impressive panoramic views that open up from here will amaze right about any tourist. The great genius, Leonardo da Vinci, also took part in the design of two channels – Naviglio Grande and Naviglio Pavese. Walking here will give anyone some amount of pleasure, especially knowing that this is a truly historic place. However, Milan is such a town in itself: Ludovico Moro or Silvio Berlusconi (who was born in the capital Lombardy) could once walk in the provincial courtyard. If you were to look at Bosco Verticale, you would definitely find out that there is an incredibly beautiful view here. These “green houses”, fascinate from the very first minutes. It seems that this is what the modern house of elves looks like. Many are fascinated by Cimitero Monumentale too, which is located relatively close to Bosco Verticale. This cemetery which is a kind of concealed treasure, have real works of art hidden in it. Also, it is worth mentioning a couple of words about another remarkable attraction of the capital Lombardy – the opera La Scala. The building which is constructed in a neoclassical style draws attention immediately. However, once you have just gotten inside, you can be surprised that not even some fancy palace can boast of such a luxury as you will find here. Nearby is the Museo Teatrale alla Scala, which is also worth visiting. The best viewing platform after the roof of Duomo di Milano is the Torre Branca. It was built in the 1930’s on the territory of Parco Sempione, which, in its own way, is a great place for a leisurely walk. The museum La Triennale di Milano is also located here. The majestic Arco della Pace gate opens the entrance to the park. There is the Arena Civica, numerous fountains and sculptural compositions among other attractions of the park, the most interesting of which were the four mermaids who once adorned Naviglio Grande. Another amazing building is the Rotonda della Besana. This is a church which was built in the 19th century in the place of a former hospital cemetery, for the reason that surgeons took dead bodies from here for operations. In the section below, you can get one of our excursion, activities or city discovery tours over Milan and surroundings. Our website offers 10-30% lower ticket prices, when compared to the offline purchase on the spot. » The Milan Cathedral is one of the main attractions of Milan located in the historic center of the city. » The Cathedral is built of white marble in the Flamboyant Gothic style. 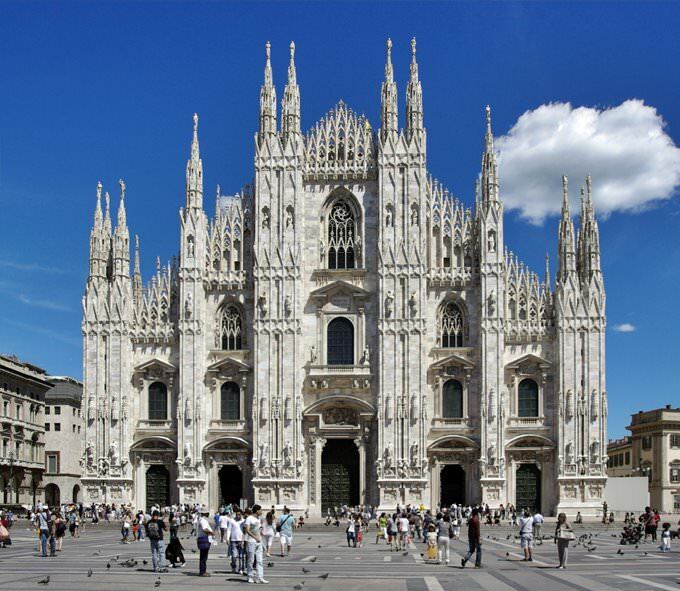 » The Milan Cathedral is the fifth largest church in the world. The temple can accommodate up to 40,000 people. » There are about 3,400 statues in the cathedral. » The main attraction inside the cathedral is the golden statue of patron saint of Milan. » The roof of the Milan Cathedral offers the most spectacular views of the city. 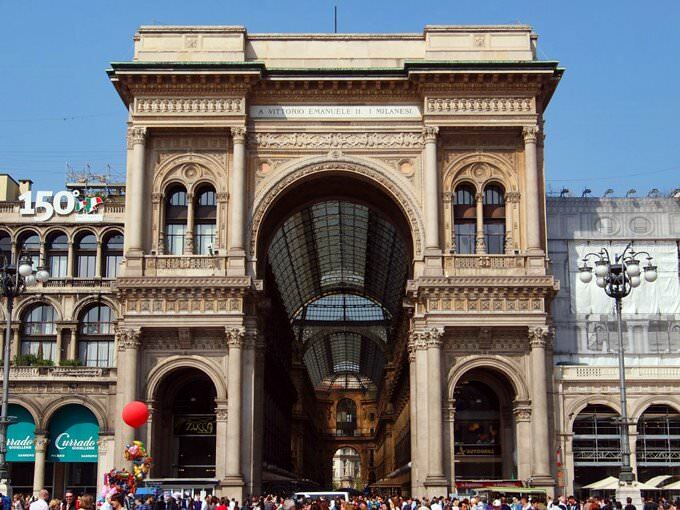 » The Galleria Vittorio Emanuele II is the shopping mall in Milan, one of the first European passages. » The gallery bears the name of King Victor Emmanuel II. » The building of the gallery was built by architect Giuseppe Mengoni, who died during construction. » The building is designed in form of a Latin cross, which is decorated with mosaics depicting the four continents (except Australia), as well as allegories of art, agriculture, science and industry. » The Galleria Vittorio Emanuele II is home to many famous shops (Gucci, Prada, Louis Vuitton), famous cafes and restaurants. The gallery also regularly hosts concerts and exhibitions. 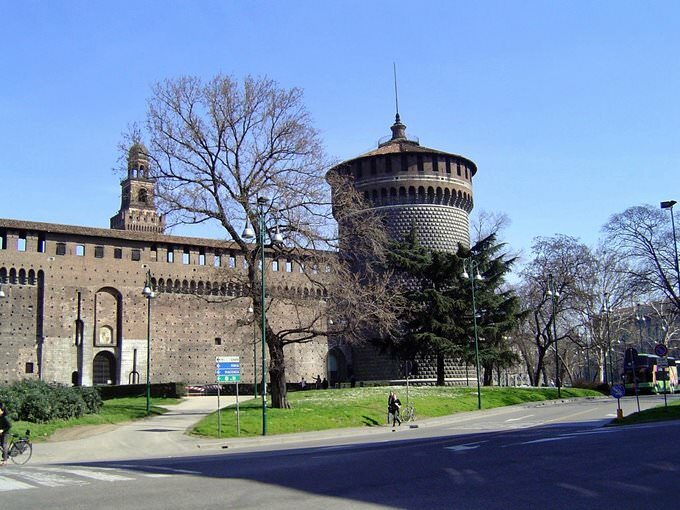 » The Sforza Castle is one of the most famous castles in Italy, which is the residence of the Dukes of Milan of Sforza Dynasty. 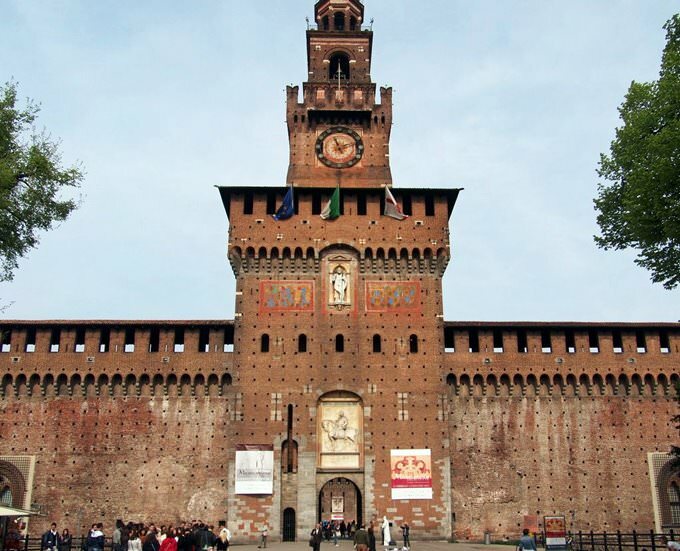 » Currently, the Sforza Castle is a group of museums (dedicated to ancient Egypt, prehistoric era, musical instruments, utensils and others) featuring a single ticket for entrance (free admission on Fridays in the afternoon). » The hall for ball games and elephant portico in the palace were perfectly preserved to this days. » You can also see the last (unfinished) sculpture by Michelangelo, Pieta Rondanini, in the castle. 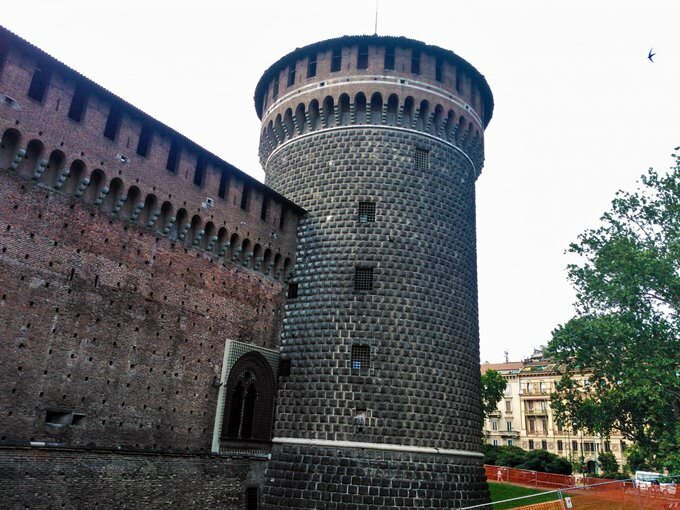 » The Sforza Castle can boast paintings by Mantegna, Giovanni Bellini, Filippino Lippi, Pontormo and Correggio, as well as a curious collection of musical instruments. » Santa Maria delle Grazie is the main church of the Dominican convent in Milan, included in the UNESCO World Heritage List. » The church boasts one of the most famous frescoes in the world, The Last Supper by Leonardo da Vinci. » During World War II the refectory of the church was bombed by Anglo-American air forces, but the fresco by Leonardo da Vinci has miraculously survived. » There is admission fee in the temple. Visitors are allowed to spend there only a quarter of an hour; taking photos inside is prohibited. » The Basilica of Sant Ambrogio is the church built in 379-386 AD by Ambrose Mediolano at the burial site of the early Christian martyrs in Milan. » The first church was called the Basilica of the Martyrs. 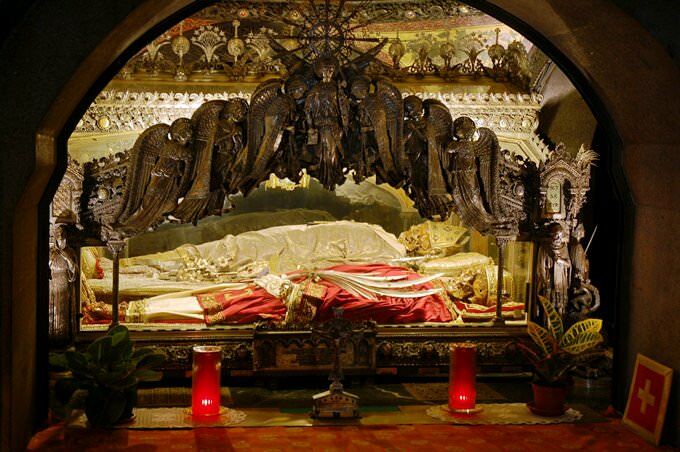 » The church houses the relics of St. Ambrose, a priceless treasure for all Christians. » Next to St. Ambrose relics of martyrs Gervasius and Protasius can be seen. The basilica is also the burial site for the remains of Emperor Louis II. » There are many priceless ancient objects dating back to 4-9th centuries, as well as many beautiful frescoes of 14th century and mosaics of 6-8th centuries. 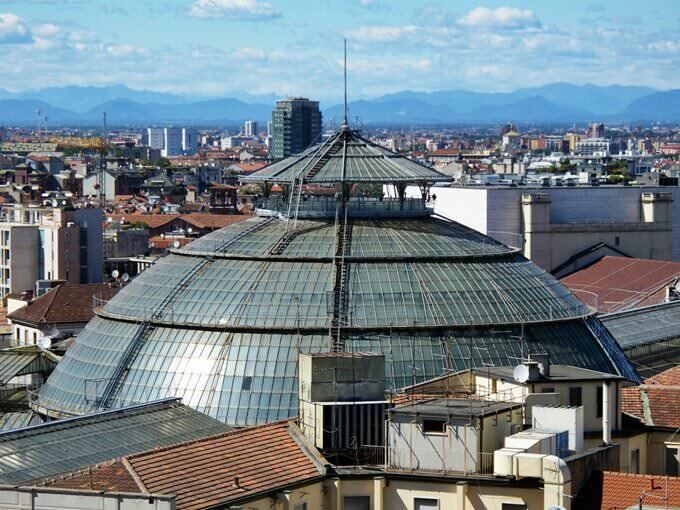 This guide to cultural sights Milan is protected by the copyright law. You can re-publish this content with mandatory attribution: direct and active hyperlink to www.orangesmile.com. Culture guide to Milan. Which fascinating sights to visit once you are in Milan: temples, churches, museums, theaters and castles. Recommendations (with addresses, phone numbers and links) on the places 'must visit' in Milan. Plan your own city excursion by using this page info!